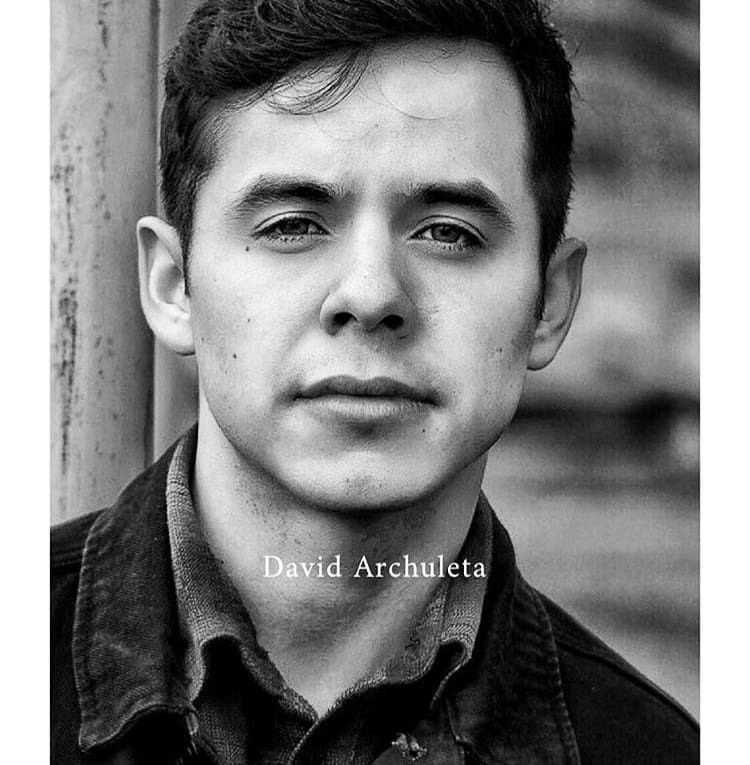 David Archuleta ~ Spanish Face to Face Chat Translated! First Song: I Am A Child Of God. Sir: What a beautiful song David, thank you. And thank you for being here with us today. David: Yes, it’s a pleasure for me to be here with you, thank you. Sir: We have received many questions David, are you ready to answer? David: Yes, I believe so. 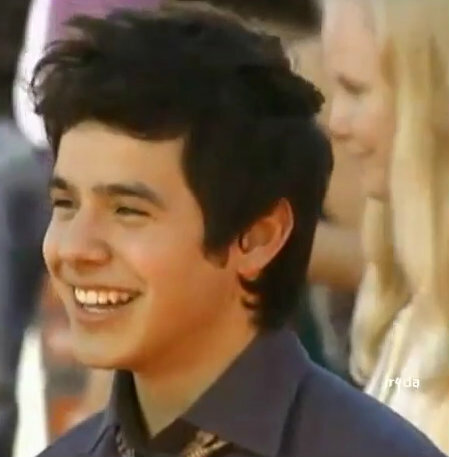 David: I’m very well, I’m very happy, I love that song. It always fills me with joy, so I’m very well. Sir: There is a question in regards to music. David, it’s obvious that music is an important part of your life, tell us why it is so important to you? David: That’s a good question. Well, I think since I was young, six years old and also before, I always felt something with music. My parents, both sides of my family, were always doing things with music. 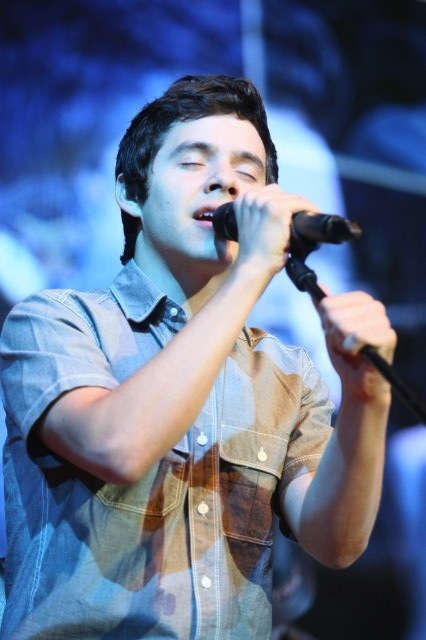 I always felt something different and when I would start to sing I think I would feel that same thing. I was always singing in the house and in the yard and things like that. But when others started listening I realized that they felt something and I could tell that they were feeling the same thing as I. They would say, I feel something now, thank you for singing. 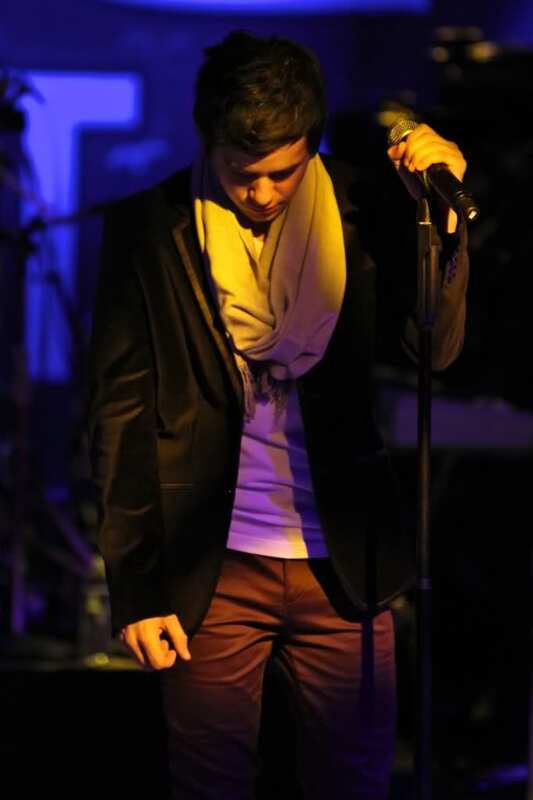 It took me some time to understand what was happening because I didn’t think I sang very well but I liked doing it. When that happened I realized that it was a gift, that they could feel the same thing as I. It’s not like saying, oh I have a gift. It’s a blessing for me to feel closer to God and closer to other people. And it was incredible that others could feel the same thing, which is the power of music. Madam: When you face challenges is there a song that helps you? Madam: That is one of my favorites too. David: I’ve listened to it so many times. I also like other songs, not only church songs, hymns. There is one that is called What A Wonderful World, I love it. Songs like this make me happy. But, I was speaking with someone the other day and I was saying there is one song that I’ve listened to the most and has made me cry, in Spanish, it’s “Source of My Blessings.” That song says that we are not perfect, but we still feel we need to be closer to God. Madam: And God takes our hearts, we get closer to him. Sir: David, we received a question from Gladys of Argentina, she asks, I’d like to know if you have ever written a hymn, or would you like to? 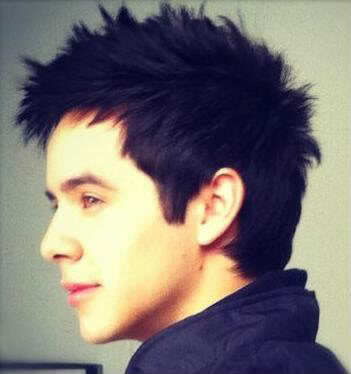 David: Oh, I never have but it would be interesting to try it, I’ve thought about, I tried once, but it is difficult. I’m developing my songwriting skills. Even writing pop songs was a bit difficult for me. But since returning from my mission I’ve been writing a lot. I’m feeling more comfortable with that. I don’t feel much pressure from others, so they’re flowing out easily, and it’s fun. Maybe someday I’ll attempt again to write a hymn. Madam: There are probably people who believe that music comes easily to you. Tell us what you have done to develop your musical talents. 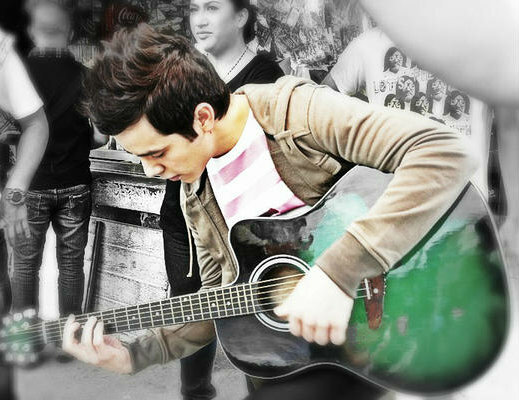 David: Practice, practice, practice all the time. I believe that to develop any skills takes much time. The thing that has helped me the most is doing it many times. I remember doing it when I was young, six, seven, eight years old. I’d be singing every day the songs of my favorite artists. Repeating the songs so I could sound like them. Because at the beginning I sounded nothing like them. It was hard. So I’d do it over and over, for hours. I believe that we need to be patient with all that we want to develop in life, to have progress. It takes time, patience, and diligence. Sir: David, you served a mission in Chile, correct? Sir: And you returned three months ago. 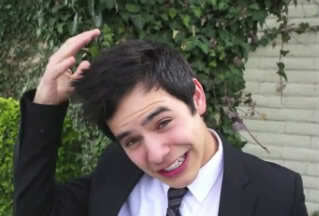 David: Ohh time flies, ay ay ay. Sir: We received many questions about your mission. Silvana asks, how did the decision to go on a mission come about while having a singing career? David: Well, I’ve always wanted to go on a mission, since I was young. I always knew I’d go, even though I didn’t know how I was going to speak to anyone, I don’t know how to communicate with others, I’ve only been doing it through music. I didn’t expect to be on a television show, singing and suddenly everyone recognizes you. I didn’t expect that. Even with that, I still always wanted to go on a mission. But I thought, how am I going to it? Maybe it was a sign from God that I was doing what I was supposed to do with music. But I was never satisfied with it, something was always missing. I attempted many times to go on a mission, but things like contracts, people who thought “what?” They’d say, “it’s crazy to want to do that.” But that same feeling that has always guided me to sing, the decisions I made, the songs I picked to sing was the same feeling that told me you have to go on a mission, you’re going to learn something, your life is going to change, you’re going to meet people, you’re going to learn things that you won’t learn any other way. It was a difficult decision to make, follow and be diligent; it was the most incredible decision of my life. Madam: Nail wants to know, what is the difference between pre-mission David and today’s David, after your mission? David: Well, I think I feel more comfortable with myself. Before the mission I was always worried about what others would think of me. I had to please everyone even though everyone wanted something different. I was afraid to trust myself. I doubted myself a lot and in the mission I had to learn to trust in myself. There wasn’t anyone saying you have to do that, you have to do this and that. There was a Mission President but he would say, I trust in you. It’s going to be fine and I know that you will do things well. I would go ahhhh, but I don’t know what I’m going to do? I’m not a good missionary, I don’t know how to speak to people, I don’t understand what these people are saying and many other things. But I began to learn, well I wanted to, I’m here to learn more about God, and the Savior Jesus Christ. I won’t be able to love God and love the people I’m visiting and teaching if I can’t love myself. I can’t trust in God If I can’t trust in myself. I think that a large part of the mission and the reason why I had to go and serve is because God had to say to me, “My son, you are very busy and preoccupied with many things, come with me, I need to teach and show you personally.” That is how I felt in my mission. So close to God, there are no distractions, no telephone twenty four hours, not worried about yourself, you’re only getting to know God, trusting yourself and loving others. Madam: And serving the people you speak of. Sir: Jazzman from Spain asks, how will I know if I am truly prepared to go on a mission? David: Well, I had the same question. I had to realize that you are never ready to go on a mission. What I’m saying is that the perfect time doesn’t exist to go on a mission, because if I waited for that perfect timing I’d never go on a mission. Everyone says, not yet, not yet, you’re not ready. I used to say the same thing, I’m not prepared, I have no idea how I’m going to teach others to make changes in their lives. But it’s a step of faith. I trust that God will guide me. It is difficult, but it is never the perfect time to go, it’s always going to be difficult. You’ll always have to leave something behind, things like that, but it is worth it. Sir: Yes, and we need to have a lot of faith. Madam: Ricardo from Mexico wants to ask, what can you say that would motivate the youth to go on a mission? David: (looks at the camera) If there is anyone who is thinking of going on a mission and you want to prepare, there are simple things you can do that we always hear, like go to church, study your scriptures, really scrutinize them, meditate over the words, and also pray. The things we have always been told are the things that are going to help you. Also Preach My Gospel, this helped me a lot. If you don’t have it, find it. Another thing that helped me a lot was to go to the temple. I know that there are many that don’t have a temple nearby, but you should try to go as much as possible. That is a place where you can prepare without distractions; you can speak to God, pray, and hear the voice of the spirit clearly. Spend time there. I’ve spent a lot of time in the temple; it is a good and sacred place. Sir: An important question, some say that going on a mission is a sacrifice; do you feel that it was a sacrifice for you? 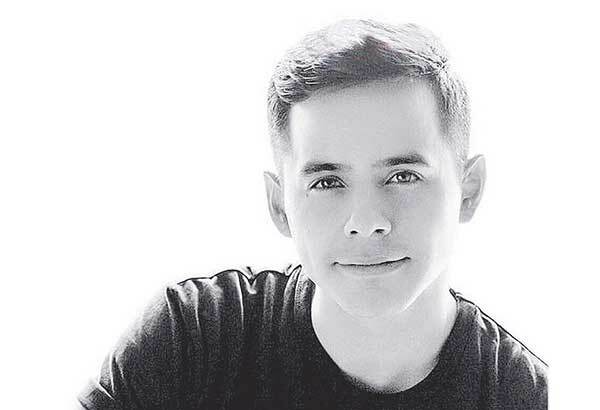 David: When you think about having to leave things behind, like work, your career, or your family, I think the hardest thing was leaving my family. Because I thought, they need me. But when you think of where you’re going, that you are going to serve others, that you will be close to God, know Him and feel like you never have before in your life, then it’s not a sacrifice because you gain so many things. How can it be a sacrifice if it is the biggest blessing in my life? But for me, technically leaving some things, maybe then yes, but truthfully it is not a sacrifice. How could life’s biggest blessing be a sacrifice? Madam: South Korea wants to know if there was something difficult during your mission and what did you do to overcome it? David: The mission wasn’t easy, there are times you think, oh, I can’t do this, especially at the beginning of my mission. I didn’t understand for nothing how the Chilenos spoke. Now I love them. Now I can better understand the Spanish language and speak it. But at the beginning, not at all. What are they saying? How am I going to teach them? There are also times that you don’t get along well with your companion, if you get angry with him you can’t just leave. You’re always with them, every day, every week. You have to learn to change the problems, correct them, love them and discuss the problem. There were difficult moments with the companions, but in the end we got along well because we were able to overcome our problems. There were many things, but then there is patience. I could speak for a long time about this. 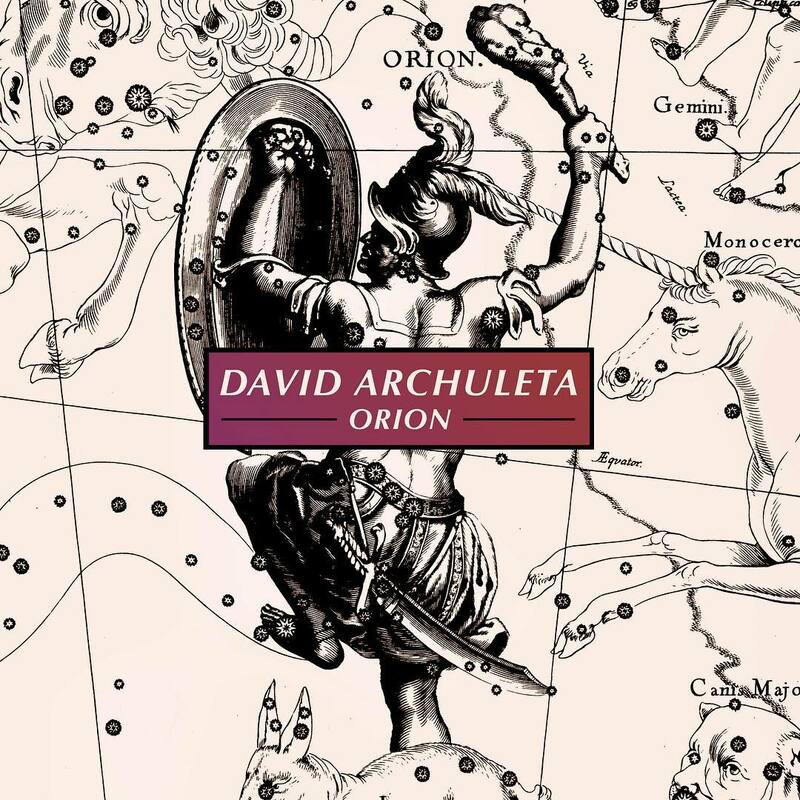 Sir: Thank you David, beautiful song. We received this question: as youth we feel alone and impotent, what have you done or do to avoid feeling like this? David: I believe that each one of us has felt like this; we are not sufficient for the task we have in life, or the future or the present. What has helped me personally is knowing who I am, and that is, that I have a Heavenly Father, He is God, I am a son of His, like the first song says. This always fills me with joy. The challenge may not change, or the problem taken from me, but it gives me the strength to go on, to find a way to overcome it. Also, knowing that I can ask for help when I need it. Because there are many moments where I don’t know what to do, I think, what now? I’m lost, I don’t know what to do, I feel unmotivated, and that is the time you can get on your knees and ask for help through prayer. Madam: Ingrid wants to know, how can you achieve spiritual and emotional balance while developing our talents without putting aside our love for the Savior? David: Good question Ingrid. I think it is a great wisdom that I have learned, not only during the mission but also before. Many times we feel that to pursue our dreams, music, work, sports we have to leave the spiritual things aside. That is not true, that is when we need the most help. During the time I was working, especially on TV, there were moments when I read scripture more diligently because I felt the need to do so. You should never feel that you need to choose your dreams over the spiritual things and God. Because they go hand in hand. God knows us; He knows our dreams. So if you always remember that, and remain near Him like the song says, you will be able to develop your talents and dreams in a different and brilliant way. That is how I have felt. You never should feel that you need to choose, it is not like that. If it comes to that you should choose the spiritual, God is there guiding you. Sir: Mararena from Ecuador asks, how do you keep harmony with the Lord when you are surrounded by fame, money, and popularity? David: Well Macarena, that was a shock to me, surprising. All of a sudden people recognized me. It was unexpected attention that I didn’t have before. Many would tell me this is what is important, these things will help you feel happy, and feel good in life, you will have success. But when I tried to focus on these things and what I was being told, I felt depressed, what is going on? Why do I feel this way? This happened once, when I was singing and the release of my first album. I had a lot of attention during that time. And everyone told me, now you will be successful, now you will feel happy. But I felt uncomfortable and I asked myself, why is this happening to me? I felt discouraged. At that moment I was on vacation with my family and realized that this was what really made me feel happy, the simple things that I had always had. What you have doesn’t matter, money, popularity, attention. If you have made good decisions, and if you have family who you love around you, then you will feel good and happy, and that is the success I have had in my life. Madam: Kevin from Colombia has this question, I’m not a Mormon but I’ve always been curious about the Latter Day Saints. The question I have is, how have you lived all these experiences, music, concerts, tours and all the success from a spiritual perspective? 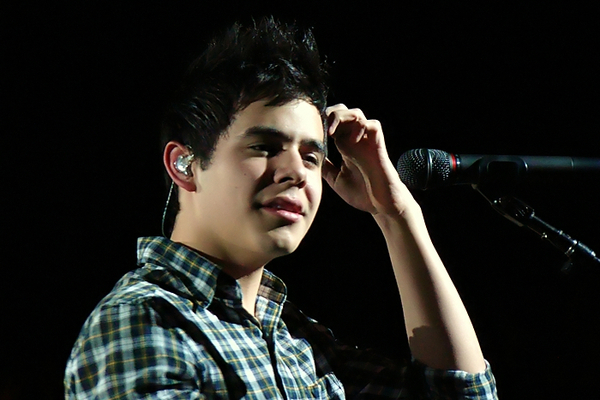 David: Spiritually, well like I was saying before, why the music? Music doesn’t exist without the spiritual part, there is always that connection. And when people try to remove that part it doesn’t work for me. I say, I cannot do this. But when a song invites the Spirit and the listeners feel good, closer to God, have a different perspective of life, more positive, then it’s all worth it to me. That is why I make music. I feel that music is a responsibility that God has given me, and he trusts that I will make good use of it. But if I don’t use music responsibly I won’t feel that success. I won’t feel that incredible feeling that you can feel through music if I remove that spiritual part. I had to humble myself many times, and think, I’m going to let it work on that song, or that concert for people to feel that feeling, which is the Spirit. Sir: David, Lucia asks, what is your favorite scripture? David: I have many favorite scriptures, but one that has always helped me during my mission and my life, is in the book of Mormon. It’s in Ether 12:27, chapter 12, verse 27, where it speaks of our weaknesses and many times we try to hide them. Before the mission I did that a lot. That is why I didn’t feel that joy I could have because I tried to hide my imperfections. But reading this scripture and understanding what God gives us. He says, I give you your weaknesses so you can humble yourself and know that I’m here to help you and that you need me. That humbled me, but I love knowing that our weaknesses don’t prevent us from getting ahead. With God’s help our weaknesses can be tools in reality. Madam: Jamin from Spain wants to know, how do you know if you’re adequately prepared to go on a mission? David: I believe we spoke a bit about that. David: No, it’s ok, it’s a good question. I’ll think about it some more. Sir: Nicole from Brazil, do you have plans to write a book of your experiences on your mission? David: Wow, I have thought about it, a lot, but I don’t know. I put out a book some years back. But it would be very interesting because my experiences now are very different. My outlook on life is deeper than before. I’d love to be able to explain, well I don’t know if I’d confuse everybody, but it would be incredible to speak of the people I met because I love very much the Chilenos and the people I met, and the food. I would love to share with all what I learned in a deeper way. Madam: Patricia says, my brother is about to return from his mission, how could I help him adapt to family life without him losing that Spirit he’ll return with? David: Well Patricia, have patience with your brother. Because when I got home all my family thought I was so strange. Because I’d say, oh no the TV, I can’t watch it, I can’t listen to that! I feel so strange here, where is my companion? You have to get accustomed a little at a time after the mission. Be patient with him and listen to him speak of the people he met because that is something important he’ll bring back with him, the people and his experiences. Maybe you can study with him. My sister did that with me because I wanted to study with someone. So if you want to help him conserve that Spirit, help him by asking him about the people he met and the experiences he had, and study with him. Sir: When you make important decisions, what is the process you take? It is a challenge for the youth to maintain their beliefs when being influenced by their friends. David: The process of making decisions? Hmmm interesting. I believe you need to think things through, especially when it’s a big decision. You need to think, why do I want to do this? And then take the question to the Lord, ask Him too. For example when I auditioned for American Idol, went on my mission, I always asked the Lord by praying, Father, what do you think about this? I feel like this, how should I do this? Is this fine? Am I crazy? I want to know. And always, when I do this, things turn out good for my growth as a person. Madam: There are a lot of questions about your goals and plans now that you have returned from your mission. Can you tell us what you have in mind? David: Yes, like I was saying, I am writing songs, I’m doing a lot of that. As a matter of fact I’m writing songs in English and Spanish. I don’t think I should release them all right now; I want to get things right this time. I have had so many experiences on the mission; I’ve thought of so many things, I feel I want to put that in my songs, not just anything. I’m dating. I want that to be in my songs. So I have plans to have future concerts and new albums. When? I don’t know exactly but I’m in that process now. Sir: David, many young girls want to know your girlfriend’s name. Madam: Do you have a girlfriend? David: No I don’t have a girlfriend, not yet, so there isn’t a name to say. Yes, but, we’ll leave it there. Family is important, so I also have that planned for the future, so there it is. Madam: How has your mission affected your music? 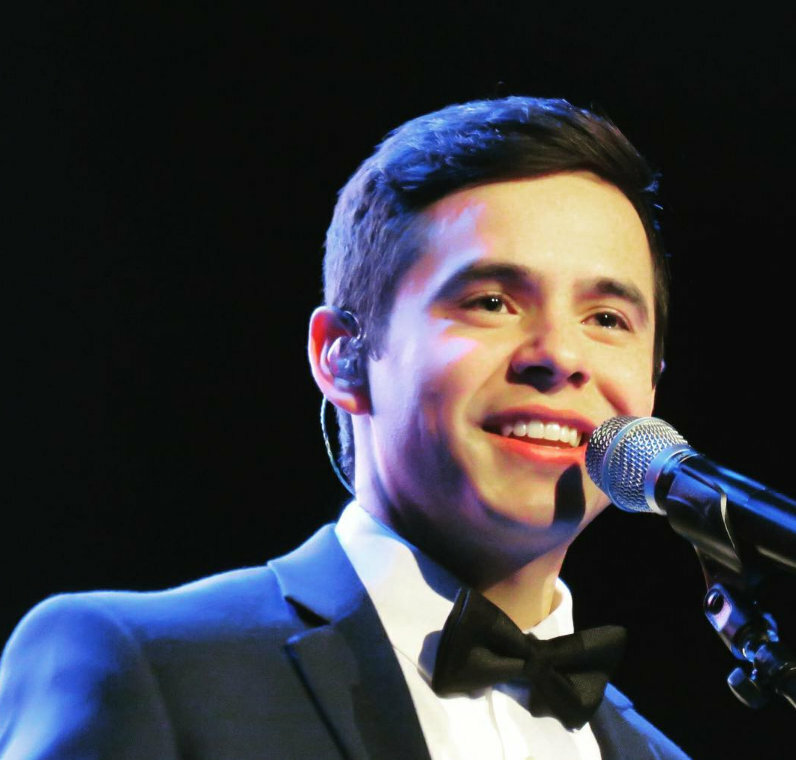 David: I always sang on my mission, always. Knocking on doors, talking to people on the street. I would say many times, hello how are you? We’re missionaries and we would talk but at the beginning of my mission, when I couldn’t communicate, I’d say, can we sing you a song? I think we sang every day on the mission, in houses, in the street, it was entertaining. There were many who didn’t recognize me but would listen to the song. It didn’t matter who was singing, they listened. Madam: And did they feel the Spirit? Madam: I’m sure that you left them with a smile. Sir: Liliana asks, did you ever at some point in your life face a challenge which you thought you could not overcome? David: There are many moments when you wake up and think, oh no, I can’t do this today, I can’t do anything right. I believe we have to have hope that things will get better because there are times when we feel that nothing is ever going to get better, never. I’m never going to feel better; I’m never going to find the answer I’m looking for. But you have to take your time, you have to wait and be patient, the answers will appear and you will overcome. There are so many times when I’ve felt like this, I don’t know how to do any of this, but then I was able to. Why was I about to give up? Ay ay ay, I was going to lose out on this blessing, this opportunity or what I have learned. So don’t give up. We have to be patient and you may feel out-of-place or frustrated sometimes, but we all do, it’s fine. David: How much time do we have? Sorry. Madam: We have ten minutes. 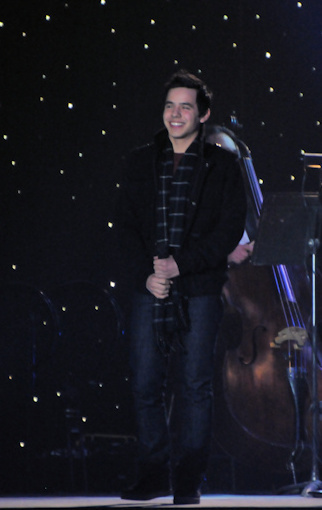 David: Ah yes, OK. Because I’d love to sing another song, but I think there is a question before one more song. Madam: Oh let me see. Your responses are answering the questions before we receive them. Mina from Peru wants to know and says, I’d like to be a member but I fear that my family will not approve. What can I do to soften my mom’s heart? David: I congratulate you because the Gospel is beautiful and is one of the things of the Latter Day Saints. And to be able to have that change, to live it, try it. I think those that start to know the church start with the missionaries, with friends. But aside from going to church and with friends, start with the missionaries. I was a missionary, (thumbs up), trust in the missionaries. They will help you with the changes you make, and it’s not always going to be easy, but you’ll start to feel different. You’ll have clarity and your family will see this change in your life. I think that is what will soften the heart of any person, to see the change you are receiving. There are things to do but I promise you that the change will come and you will feel the Spirit in you life. And your family will also feel it. Sir: A question from Mexico. David: Mexico! I had three companions from Mexico on the mission. Sir: What scripture strengthens you during difficult times? David: Aside from the scripture I mentioned before, there is one in the Bible in Proverbs. For those of you that don’t know, there are missionary plaques with your picture, the country and a scripture. The scripture on my plaque is Proverbs 3:5-6, where it speaks of trusting the Lord. He will guide you in all you do and in all your… I don’t remember exactly. This scripture has helped me a lot. Madam: Yani from the Dominican Republic, wants to know of all the things you did on your mission, what would you have liked to do differently if you knew then what you know now? David: I believe I would have done more things, I would have been more brave and not be so scared to do things, even though you didn’t know the outcome. But actually I wouldn’t change any of the past, because that’s how you learn, by whatever happened or didn’t happen in the past. I would’ve liked to have been more brave, speak with all, but this is how I’ve learned, next time I won’t do the same. I will speak with more people and I won’t have any fears any longer. Madam: And faith conquers fear. Sir: Here is the scripture from Proverbs. David: Thank you, 5, 6 and 7. Sir: Would you like to read? Sir: What an important scripture. Madam: Jhon, via twitter wants to say, I want to go on a mission but I’m scared. It’s what we’ve been speaking of. What advise would you give him, us? David: I also had that fear, like I said before, I don’t know how to speak, how to teach. But the truth is, when you get there you will learn daily and you’ll see that you don’t know everything, but that’s ok because you have a companion that will be with you all the time and you will learn from him. You’ll also learn about the Spirit. There will be times you won’t know what to say, but you’ll open your mouth and it comes out. You’ll ask yourself, where did those words come from? The Spirit is with you and is brilliant. So don’t worry, all will be fine. Sir: Thank you David, is there anything else you’d like to share? 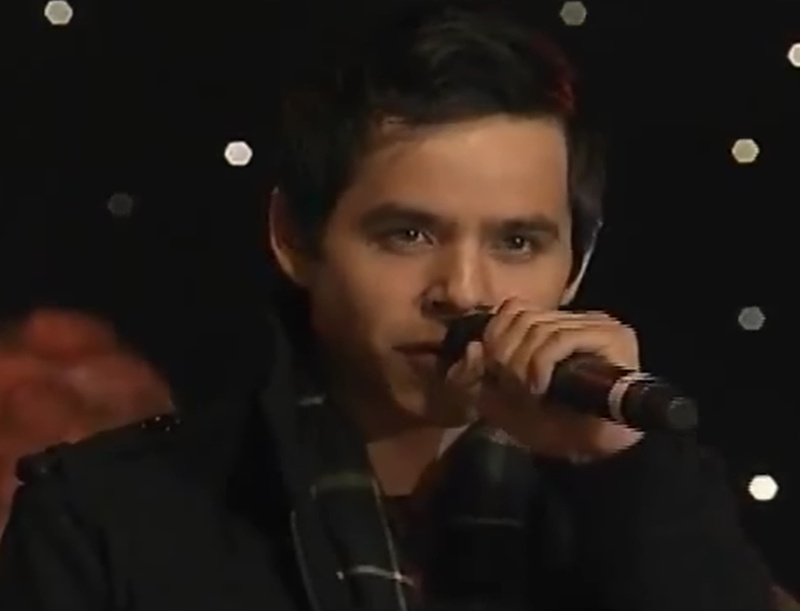 David: I feel like I’ve talked too much, I think I’d like to finish with a song. Sir and Madam: Thank you very much David. Transcribed by Gladys/Translated by Djafan. 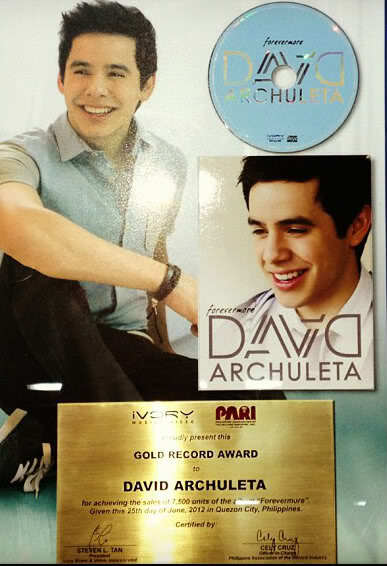 This entry was posted on Monday, June 30, 2014 at 7:08 PM	and is filed under David Archuleta, Mission. 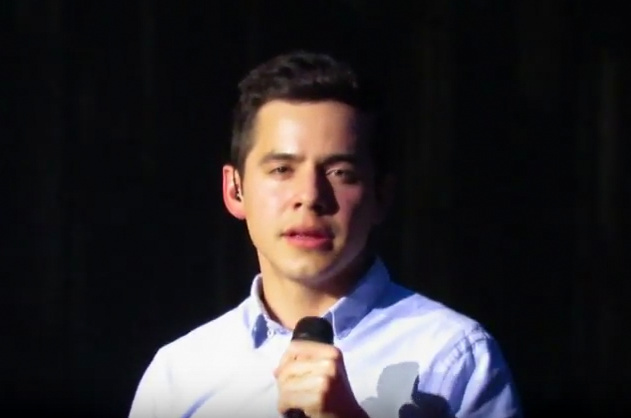 Tagged: Chile, David Archuleta, LDS, Mission, music, Spanish. You can follow any responses to this entry through the RSS 2.0 feed. You can leave a response, or trackback from your own site. Thank you so much for the translation. I know enough Spanish to get the gist of what he was saying, but missed quite a few of the details, some of which gave me a giggle. I feel like I got to know him a lot better after reading this post. Thank you, Gladys and Djafan, for all the hard work you did on this translation. I know you did it out of love for David (and us), so that those of us who don’t speak Spanish can understand this side of him. And what a delightful, inspiring side it is! We are so lucky to have such talented and dedicated fans here. Thanks Dja y Gladys. It was fun to listen to David and follow along with the translation. Hope your fingers heal quickly. Ray, it made me smile to think of you carrying a picture of David at all times, just in case you needed it. Do you whip it out often? Another big thank you to Gladys and Djafan for your labor of love! ♥ I watched both of them and even tho I couldn’t understand most of the Spanish one, it was fun to watch David being so animated and happy. Jans11, the missionaries would use the phone for missionary business, like arranging appointments, etc., not for anything “social”. DJafan and Gladys, many thanks. I don’t know Spanish, but I thoroughly enjoyed the Spanish version better than the English. David appeared more comfortable and happier in that setting. I felt more of the “Spirit” reading this tonight than I felt watching the English version. He exhibits so much faith. Something I need to work on. He gives me hope that I can grow, too. While I have your “ear”, can I ask you: If his Mom and Grandmother couldn’t understand his Spanish, what areas of the world would understand his dialect–other than in Chile? Thanks for the good tip. Is there a way to get English subtitle this way? Thank you, both, so much!!!!! It makes my heart tingle with happy to read these words. David has revealed himself and his deep beliefs, and I couldn’t be happier. 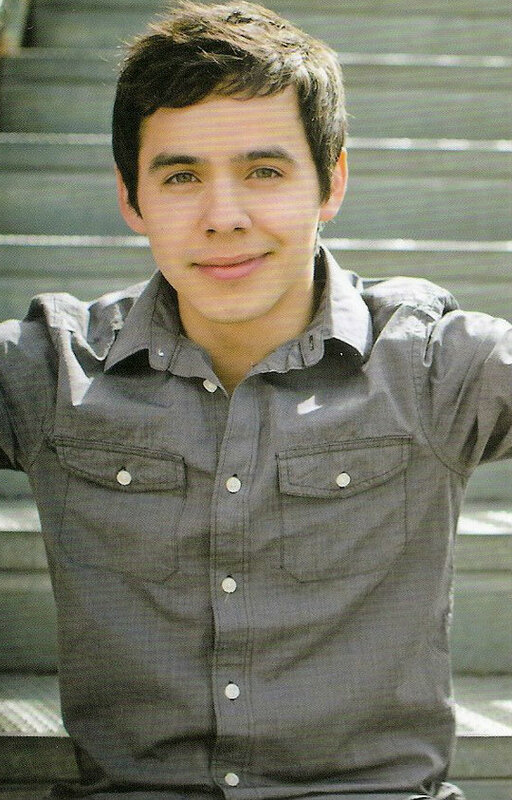 He’s let us know that there will be music and tours, and a Mrs. Archuleta, in the future. 😀 We’ve just gotta be patient because things are gonna get better. I love how he referred to that song in one of his responses. 13…Beloirti, yes, I realize this. I should have explained it better. They used the cell to call me about an app’t and they used it here on business. I’ve seen a few on bicycles before but these have a car as I’m quite a distance from where they stay. Thank you, Gladys and djafan, for this😃 i feel like David answered more questions in this session than in the English chat but he was more in depth and expressive in English. I love watching both sessions and hearing his voice. I know I will watch both sessions over and over again until I had enough. Not sure if it’s even possible. Thank you so much for the translation! By the way, I’m studying Spanish and I have a request: Could you please send me the original Spanish transcript? I’m a Vietnamese fan and I would like to translate this to Vietnamese. My English isn’t as good as my Spanish, so it would be very nice if you can help me. Thank you! In Chile speak Spanish too, as in the rest of South America, we do not say Spanish, we say Castilian. Perhaps, Chileans have some idiomatic expressions, but all the South American countries have our own expressions. I’ve been to Chile several times and had no problem with the language, which of course is my language too. @VictoriaLeeau I’m writing pop songs; I’m writing Spanish songs… :). Thanks! This was the chat that us non-Spanish-speaking fans were waiting to understand because David addressed the subject of new music and concerts, the million dollar question. It was not addressed in the English chat. We got our answer! I know what an enormous job it was to transcribe this from David’s spoken words because I did the English version. A lot of work but a labor of love! Actually, we originally thought of doing it with subtitles but saw how time-consuming it was and we wanted to get the translation to the fans ASAP. 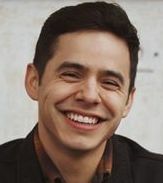 We will soon be posting links to the original Spanish transcript, the original English transcript and the English chat transcript translated to Spanish, so the Spanish-speaking fans can understand what David said in English. We’re working on it right now. In The Voice, I feel I am at home. All these years I have felt that people here helped me a lot. So now, it’s time I returned a little love I receive every day. Transcribe this interview, it was better for me to meet David. 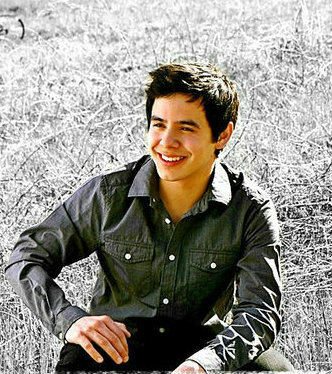 Maybe before I was fans of David the singer, but now I’m fans of David, the person. I apologize to Djanfan by putting it in this great work, without asking, but I knew she always accompanies me in my madness. Thanks to her and all to The Voice. Thanks to the both of you, Gladys and Dja! I know it was a ton of work. I cannot wait for the future! Tom, adding subtitles to the video was my first choice but just don’t have the time right now, I would like to eventually. If there are any video wizards out there be my guest! Nancy, I’ll be adding the Spanish text. I’ll post a link so you all can have access. This from Kimak! hmmmm what is brewing!!! And David’s cousin said he was at the voice studios! Kat Perkins was TOP 5 on The Voice!! Claude Kelly Gina follows him too he worked with David and Eman!! American Idol, Season 7, brought us so much joy. I have a lot of hope and good feeling too. David has embraced soccer!!! Love it! 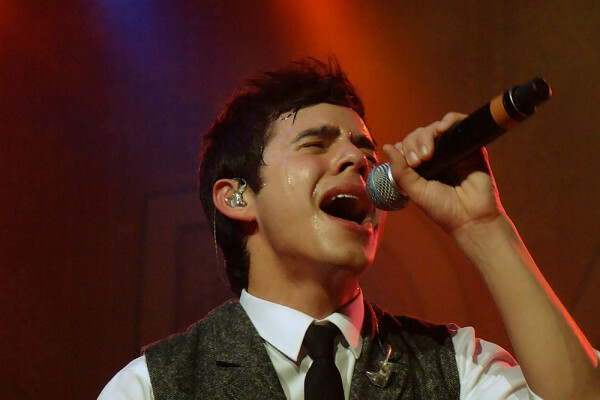 David Archuleta’s SINGING SKILLS ARE INSANE! 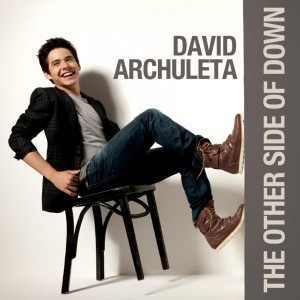 RT @davidarchie @VictoriaLeeau I’m writing pop songs; I’m writing Spanish songs.. :). Thanks! I knew who the others were but not Rodney Jerkins. Impressive. Rodney “Darkchild” Jerkins (born July 29, 1977) is an American songwriter, record producer and musician. Mostly known for his work with Brandy, he has collaborated with a range of popular artists, including Lady Gaga, Mariah Carey, Jennifer Lopez, Michael Jackson, Janet Jackson, Whitney Houston, Toni Braxton and Britney Spears. He has won four Grammy Awards, and received numerous nominations. Thank you Gladys♥ and Dja ♥! Awesome job,now go soak those fingers! lol Really, SO kind of you to do this, and so nice to be able to understand David’s words!! I love how animated he was with all the Q&A in the Spanish chat and I loved the one in English too. Two hours of watching and listening to David was amazing. A special thanks to all of you for your “labor(s) of love” You guys are so good to us. So excited about whats coming down the road can’t wait to hear the new music ,whenever it is! ***Amazing to see the soccer fans in the USA coming out of the woodwork today! Big gatherings of fans of the sport in different cities across the entire country watching. Thank you so much Gladys and Dja for the transcript and translation. This is a labour of love. You are the best! Thank you so much Gladys and Dja for the transcription and translation. This is a labour of love. You are awesome! And huge thanks from me too Gladys and Djafan! Hearing these things from David means so much to me. Gives me great joy. These chats and the vlog he did have really made me feel like the long drought is over. Excited for the future! Waah..I was just reorganizing my book shelves late last night and came across the copy of “Be Still My Soul” David autographed for me in Tulsa. Last show of AI. I thought, I need to frame this. Going to do it. 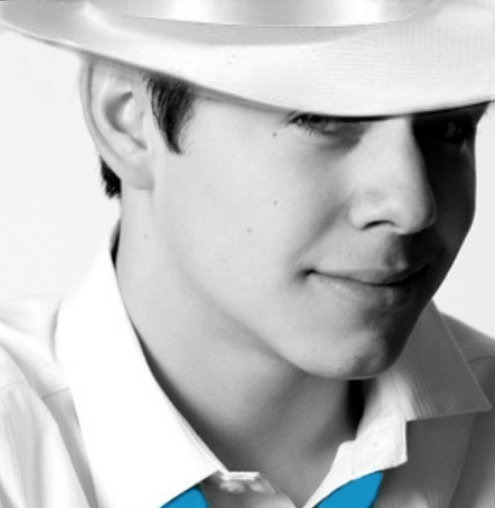 Thanks so much for all the hard work you did for us to be able to understand what David said in the Spanish chat. 🙂 He really is an exceptional young man. And I was so excited about the part where he talks about music! 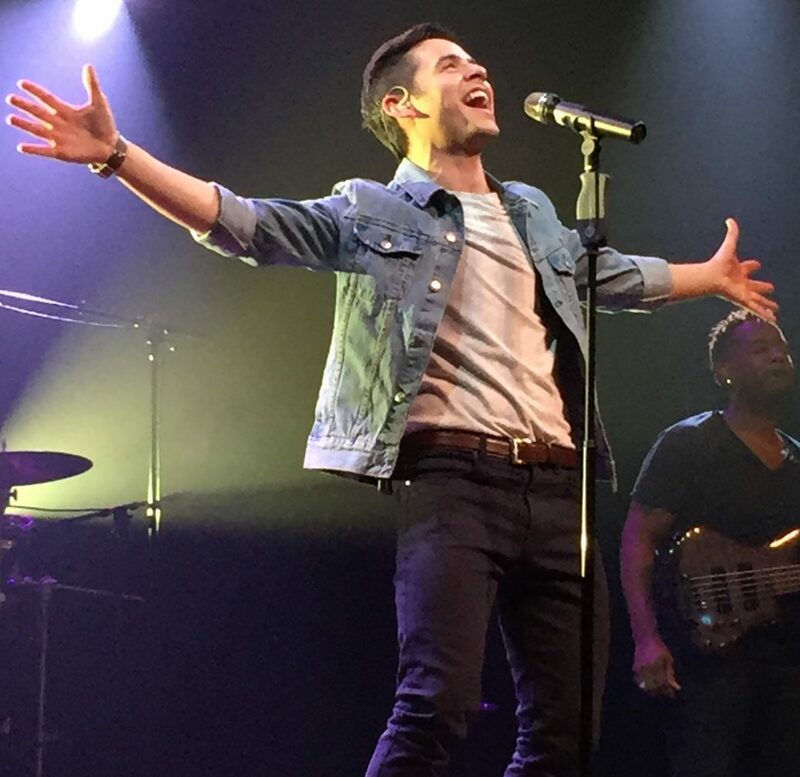 I can’t wait to see and hear this new David on stage singing!! Although you haven’t published it yet, thanks to you too for all your hard work transcribing the English chat. 🙂 As you said, labors of love. Thank you all for hanging in 🙂 Its been some ride for sure. That tweet made my heart jump. David must be feeling a little anxious about something, sending him positive vibes and prayers. This is incredible…I had a feeling he’d be traveling!!!! Fantastic news!! Hope somebody records it!!! 🙂 The troops will love it and so will David!! Wow, 18 shows!!! Oh PLEASE let there be video!! Ohhhhh, just had a thought …. wonder what he’s gonna be singing?????? ok, duh, just saw the list. hahaha Sorry, got a little excited. Can’t wait to see and hear (oh please let there be vids) the new David sing! !